Create high-impact promotional materials with improved HP ColorSphere toner. You can see the difference. Vibrant color and bold graphics grab attention. Realistic photos and images say more than words. Crisp, easy-to-read text and sharp detail communicate clearly. Designed together with the printer, prints reach new levels of sharpness, gloss, color intensity and photo quality. And, as always, count on easy-to-use Original HP supplies for consistent, reliable, fast performance and peak productivity. - Grab attention with more vibrant color, bold graphics. Say more than words with natural, realistic photo quality. Communicate with crisp, easy-to-read text, sharp detail. Improved HP ColorSphere toner—print-shop quality for high-impact promotion. - Original HP supplies make printing easy and cost-effective. Save time with the "Shop for Supplies" desktop icon and HP SureSupply. And print a variety of documents—from print-shop quality color marketing materials to cost-effective black-and-white pages. - Avoid the wasted time and money of reprinting. Intelligence in the cartridge enables the system to optimize print quality and reliability. And for consistent color at fast speeds, the entire system is tuned to the unique properties of HP ColorSphere toner. CC435A HP LaserJet CM2320fxi A4 21ppm multifunctional Printer - Refurbished with 3 months RTB warranty. Superb company to deal with. 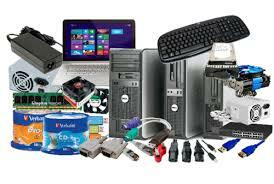 Will be ordering more IT Related products from them. Ordered one day, delivered the next. Very good.